Using my Macbook and I-Mac and now my new I-phone keeps me on my toes. But so many issues can also come up and The big Apple Store is not in every city. So you usually find a Best Buy store. But they do not work on some of your issues with software and of course then you go online for tutorials. 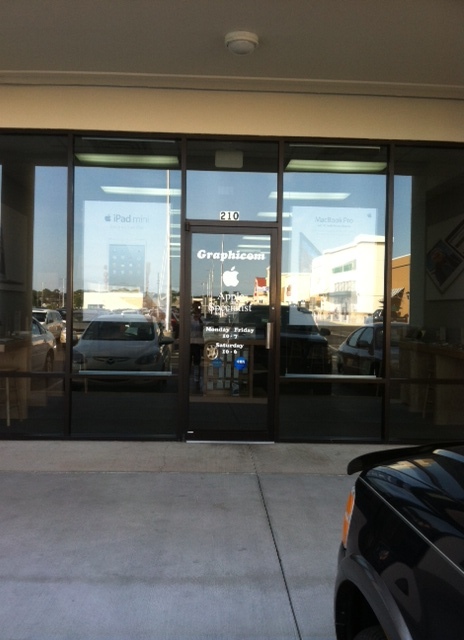 I just got buried in learning things so when Best Buy told me there was a small Apple Store up the road, we went. There were definitely Angels there by the name of Chris, Kenny and Shelbey. They helped me upgrade and repair things and then showed tons that I needed to know to be slightly competent with all. I also purchased an incredible tool – apple TV and look forward to movies and slide shows that I will make and share with some of my family on TV. Next I got hacked, and I learned that Yahoo has lots of holes, whereas Google Mail, gmail, does not. So I went back in and was shown how to deal with it. I cannot thank Chris enough for his time and thoughtful explanations and repairs. In addition I am still having some problems in understanding and remembering and I know I will call him and get a bit more straightened out. Thank God for Graphicom and these fine experts. I have told many of you that every day I go out of the RV asking the Universe to let me be of service and everyday I start the day with Thanks for all that helps me as well. I kid you not-every day “Angels” appear to assist me, answer my questions, get me on the right track. It is the most magnificent way to live life that I have ever experienced.